The floods of the winter of 2013/2014 have caused chaos and misery for many people in the UK. But today we’ll look at one3 community, used to being cut off for the causeway that links their island with the mainland is washed over by the incoming tide twice every day. 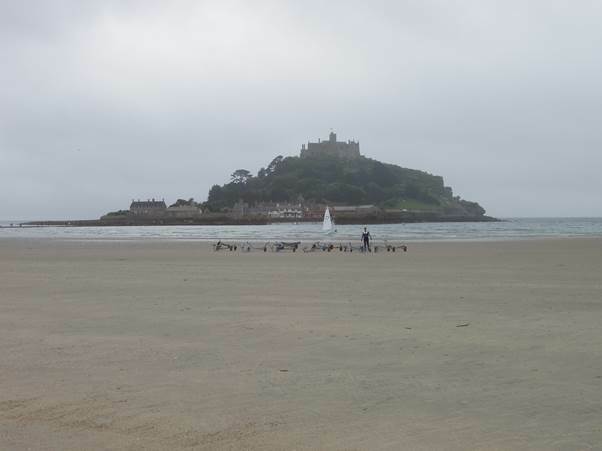 This is St Michael’s Mount off Marazion in Cornwall. Here’s the island on a rather grey day. It was May 29th 2011. And here are people streaming over the causeway. It is wide enough for vans to take goods across. But having got supplies over to the island, how do you get them up to the top? The answer is, by railway. A little cable railway can be operated. 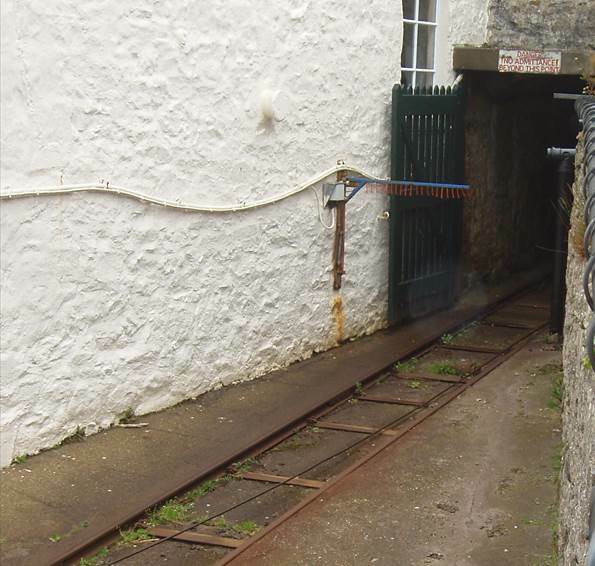 It runs through a tunnel from the quay up to the big house. Bits of it are visible to passers-by. 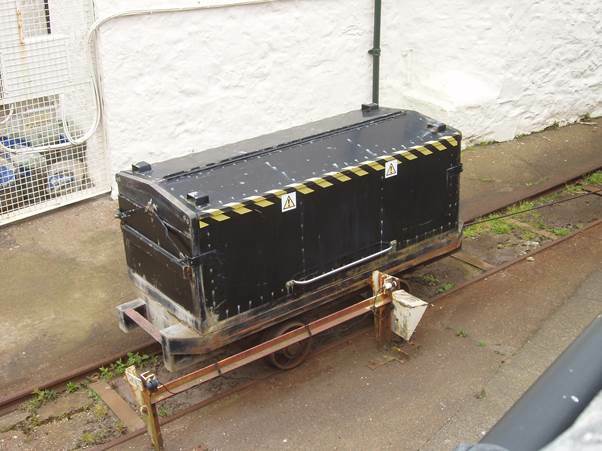 There is the solitary wagon. The cable can be seen for hauling it up. The system was built in 1912 and since 1920 the power to haul the truck has been electricity. It’s about 200 metres long and rises up to the house. It emphatically was never a passenger railway. People have to walk. Gosh, how time flies by. It doesn’t seem like a month since I wrote about the January picture on my calendar – and now it is nearing the end of February so I shall share the February image which is one of my favourite Eric Ravilious paintings. Eric has certainly captured the beauty of downland scenery in winter. 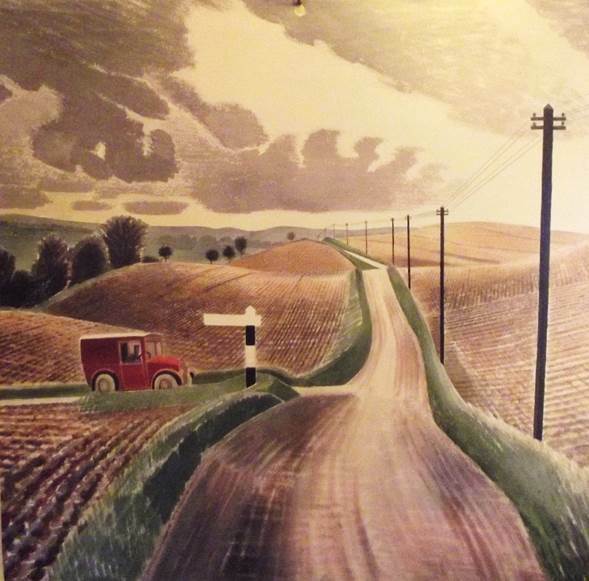 Our Mr Ravilious called this, simply, ‘Wiltshire Landscape’. The actual location is unspecified. I see it as being the B3098 road heading east, somewhere near Bratton or Edington but it could also be many other places and is probably a compilation of various places. Those of us who take photos can learn some of the arts of composition from painters. 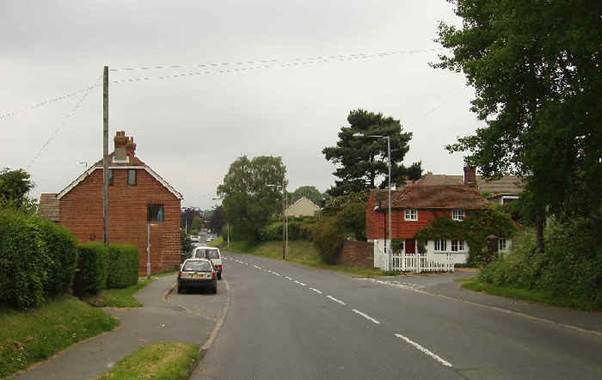 This image has the road and telegraph poles to lead your eye into the picture. Nothing is central. I know some photographers have a rule of thirds suggesting that main features should be a third of the way up or down or across. I don’t always agree. It seems to me that rules like that are just starting points. Well, I have enjoyed looking at February. Soon I shall see what Eric has to offer for March. 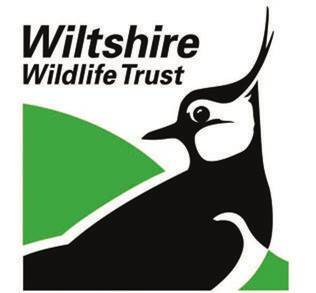 I live in Wiltshire where the wildlife trust uses the peewit for its logo. 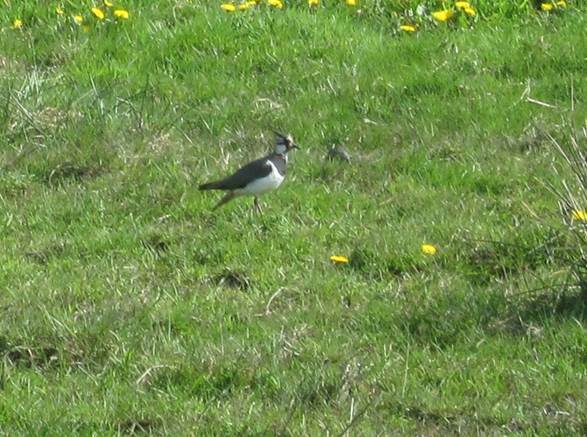 In times past – not so long ago – the peewit, also known as a lapwing or a green plover, was a common site in the village. I can think back to times when I drove to work and fields would be crowded with these beautiful birds. I could just sit and watch the wonderful displays o0f diving and aerobatics as birds tried to impress potential mates. They were perfect as an emblem for my home county. But now, for me, they are a real rarity – something to get excited about when seen. And seeing them involves leaving Wiltshire. 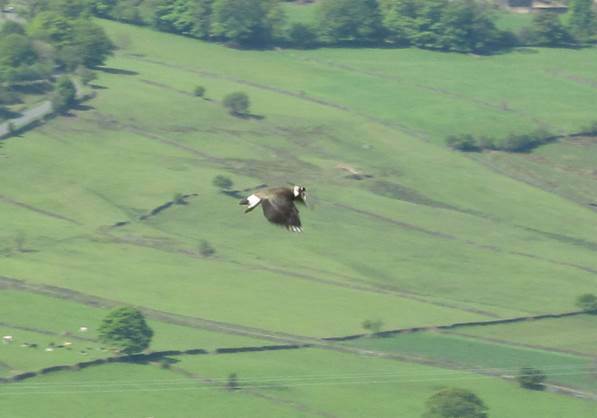 I think our niece, who we were staying with in Yorkshire last year, was truly surprised at the raptures I went into when I saw peewits up on the moorland, not far from Sheffield. The scenery was absolutely lovely. And delightful peewits were on the wing. It’s a bit random, I find, as to whether you get a decent image of a bird in flight. It is, obviously, a mere instant and the graceful flight can be something a bit odd in that instant. It’s easier to get a shot of a bird on the ground. What absolute perfection and what joy and enthusiasm we (my wife and I) were able to pass on to our niece. It must be time we went to stay again! I’ll make no bones about it. I love windmills – and water mills as well. Mills are based around understandable engineering. There’s a wonderful absence of incomprehensible electronics. Yet despite comparative simplicity they are such elegant structures, whether of the post, smock or tower mill style. 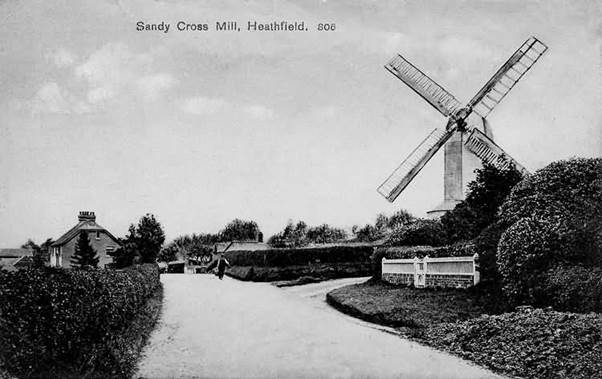 Sandy Cross Mill was near Heathfield in Sussex. My great granny was a servant for the miller at the time of the 1871 census. She was Ruth Clarke and she had been born in 1854. Now censuses are another thing I love. They are the documents which really help to build a picture of a person and a family and the community in which they lived. But of course, they have limitations. Firstly, of course, they only tell you about one day in every ten years. It doesn’t pay to think they tell you everything. I wish that addresses were given better. That 1871 census just says ‘Sandy Cross Mill’ as the address for family and servant – my great granny. I am sure they did not actually live in the mill building. I never saw the mill. It was felled in 1916. The owners, descendants of the miller Great Granny had worked for, were offered a good price for the timber, and the mill vanished. But a postcard had been made, so I can see what the mill looked like. 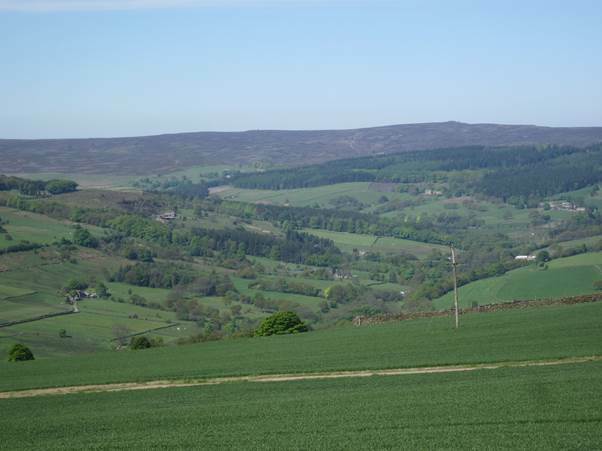 This was the mill Great Granny knew and this was the view in the year 2006. 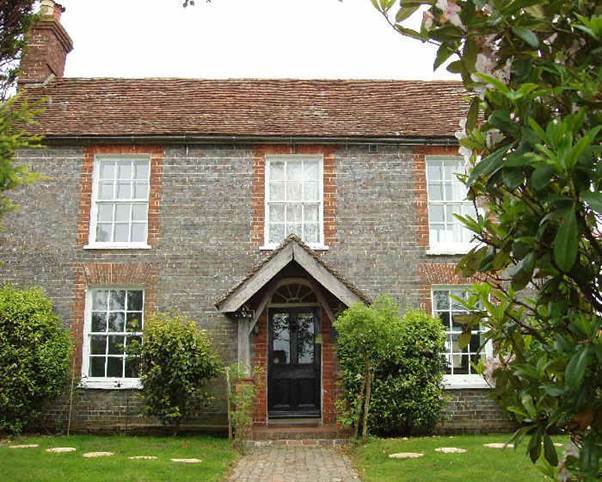 There is a nearby Mill House, so I suspect this was where Great Granny lived in 1871. She, of course, was a dairymaid and general servant. It wasn’t her house. Are you human? If so, what’s the first thing you are going to think of doing when you see a notice like this one? 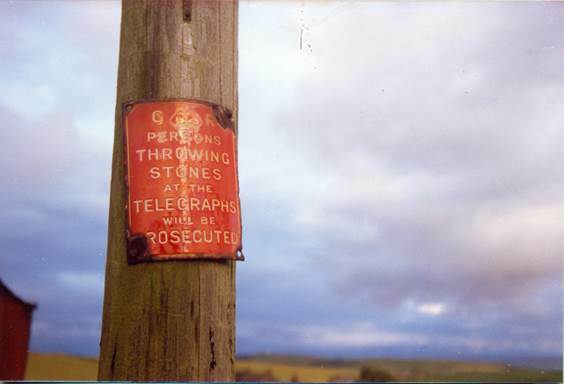 I know my reaction, which I did restrain, was to find a stone and throw it at the sign. Without such a notice I’d never have thought of such an idea. I reckon notices like this have that effect. Something you’d never have thought of is put in your head. 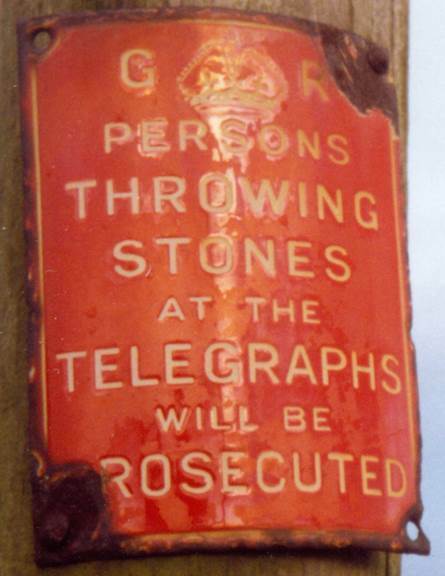 I’m sure I know people for whom the urge to throw a stone would have been too strong and they’d have succumbed to it. But of course, it is a lovely enamel sign and the G R tells us that a George was King when it was erected. I’m going to guess George V (1910-36) but of course it could have been George VI (1936 – 52). The other thing about this notice is that what it says is clearly not going to happen. There’s just nobody about to report stone throwers. The chances of any prosecution are about nil. But of course, I wouldn’t wish to encourage any anti-social behaviour. I spotted this sign back in the summer of 1988. We were on a family holiday near the village of Drummore, near the Mull of Galloway. This is Scotland’s most southerly point and it may surprise some readers to know that it is not on the border with England. If you cross over the border north of Carlisle you get to Gretna. If you turn left there, onto the A75, after nearly 100 miles you arrive at Stranraer. At this ferry port, for boats to Northern Ireland you can turn left and after 16½ miles you’ll reach Drummore. About five miles further south will bring you to the Mull of Galloway. For those that like perspective, The Mull of Galloway is less than 25 miles from Northern Ireland and a similar distance from the Isle of Man. In a straight line it is about fifty miles to England. As quite a youngster I had a pocket watch. Actually, back in those days, getting a watch was one of those rights of passage that marked the journey from childhood into adulthood. I had been the proud owner of a wrist watch but I suspect that it stopped working. For some reason, I requested a pocket watch as a replacement – and I got one. I wonder why I chose a pocket watch. 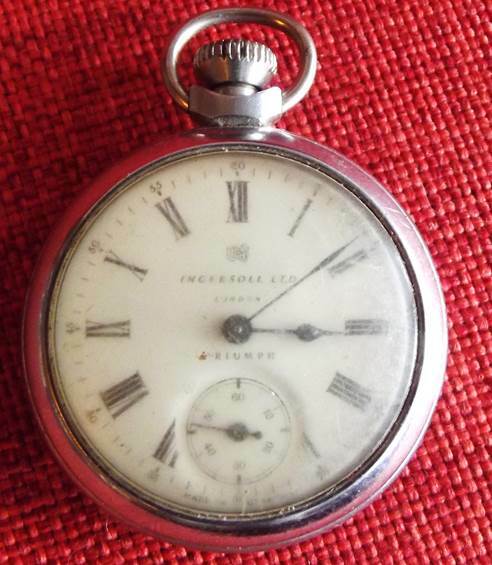 I suppose one reason was the railway interest, Railwaymen used pocket watches. My grandfather, who was a train guard, had a watch which I coveted. Or perhaps I recognised that I wasn’t the same as other people (but then we are all different). But maybe, for me, the presence of a pocket watch was some kind of a visible symbol of a determination to be just a bit unconventional. I know I thought of myself as unconventional. I didn’t follow fashion, didn’t have much to do with pop music, had to be coerced into saying I followed a football team (I chose Southampton because nobody else had) and I couldn’t be bothered with places like cinemas. My parents were a bit on the unconventional side. 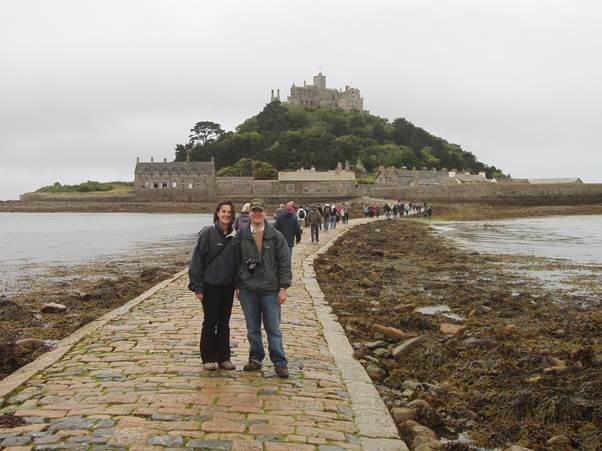 Our holidays were certainly different from other people’s seaside boarding house or beach caravan breaks. And we never had a TV. My dad had a phrase – ‘fifty million people can’t be right’. I check myself from saying it these days. After all, there is a chance that those 50 000 000 people have got it right. I think my dad was implying that the population tended to follow like sheep, with no real thought. Anyway, determined not to follow like sheep, I got my pocket watch. It doesn’t work anymore, but I still have it. It isn’t red. It is silver coloured and is reflecting the surroundings. It’s an Ingersoll and they were actually made in England. I daresay parents were delighted I wanted a pocket watch for they were cheaper than wrist watches. I believe this one, purchases in about 1958, cost twenty five shillings. That’s one pond and 25p in present money. The coming of cheap electronic timepieces, manufactured in Asia makes that a colossal price for these days – somewhere between thirty and sixty pounds. I still don’t like wearing a wrist watch. Indeed, I lost my wrist watch for a couple of years. It re-appeared after a break in camping, wrapped up in our tent. I lost it again recently but found it in my table tennis bat case when I acquired a new bat. When it comes to my absurdly large collection of old 78rpm records I really like the jazzy dance bands of the 1920s and 30s. Well, I like jazz generally so things earlier and later than that that feature jazz ‘horns’ I tend to go for. 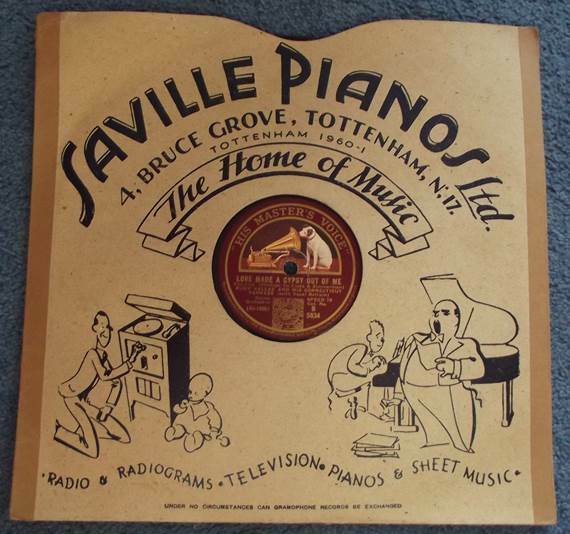 But having recently come across this record sleeve, I have to say I think it is absolutely smashing and I think it probably dates originally from the 50s. No doubt an expert in memorabilia would be able to tell me if I’m right. 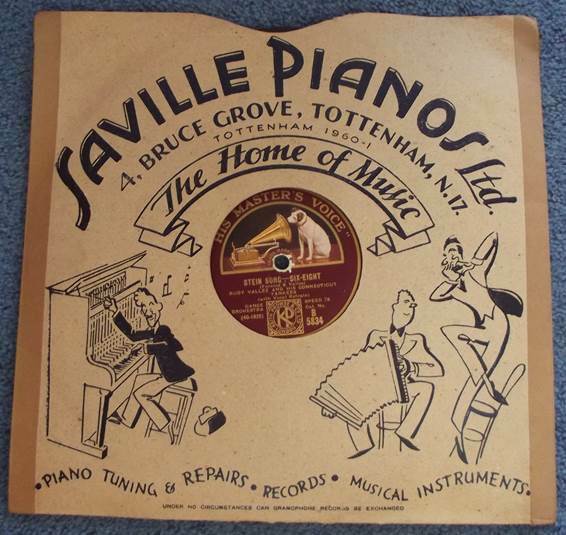 Certainly I found a picture of the same sleeve (but with a different address) on the net with a London Records 1957 sticker on it. The record in the sleeve is more like a 1930 disc. I’m not sure if the ‘Tottenham 1960-61 refers to a phone number or maybe a football season. Wasn’t that a season in which Tottenham Hotspur did the League and Cup double? I love the line drawings which seem to capture the spirit of the age. Here we have the radiogram and sheet music in use. The other side has different images. The piano tuner is at work and we have a pair of musicians performing. I think this sleeve is great fun. I’ve done a post about a book on map cover art. I wonder if there has been anything done on record sleeve art? The west coast of Ireland holds a magic for me. I don’t go in for leprechauns. There’s no need for the little people when the real people are so wonderful and friendly and the landscape is so exquisite. It has everything from gorgeous sandy beaches to impressive, dominating mountains. 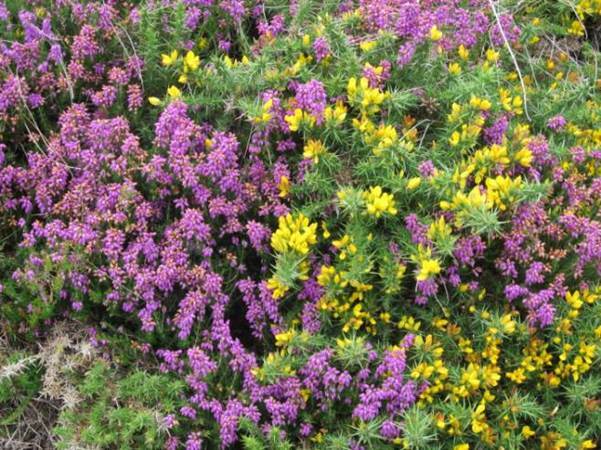 It has a range of wild flowers that are just stunning. And of course, it has history. 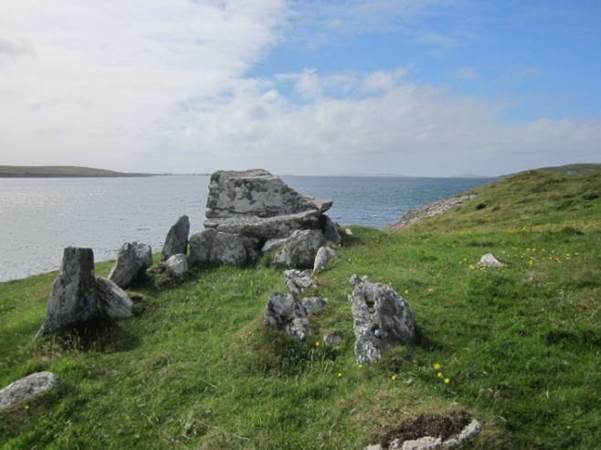 Back in 2011 we camped on the west coast not too far from the little harbour village of Cleggan. 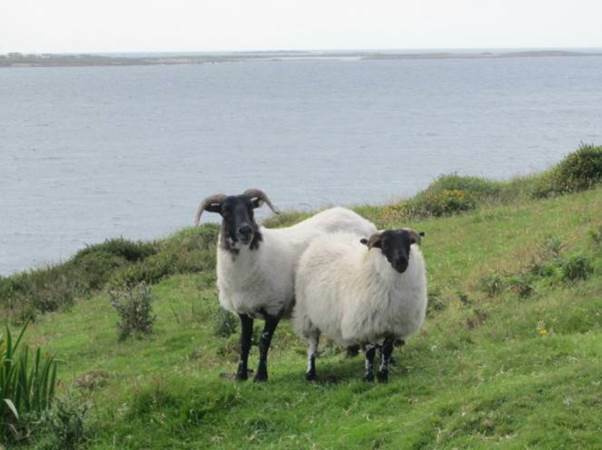 This is in Connemara. 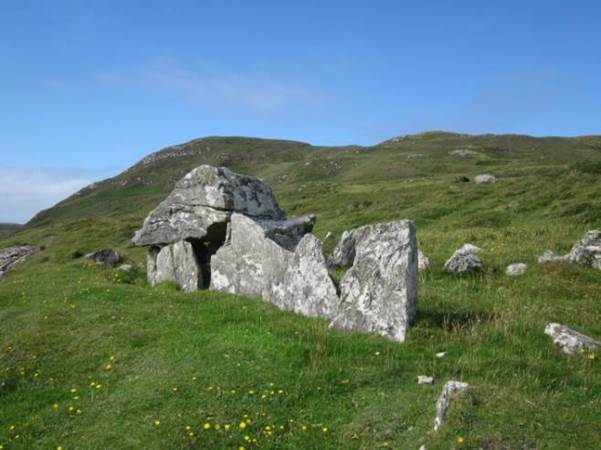 There chanced to be a chap nearby who was keen on archaeology and he told us of a courtyard tomb near Cleggan. We decided to visit on a glorious, sunny evening. 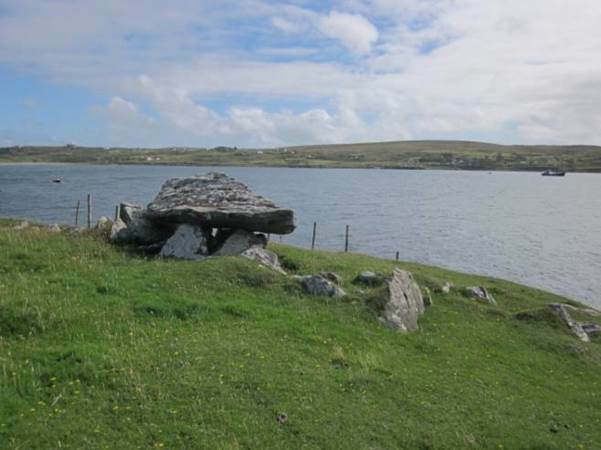 Now it may be near Cleggan, but in this west coast world of rocky inlets, Cleggan was actually across the water. Here’s the tomb with its courtyard – a kind of porch – at this end. 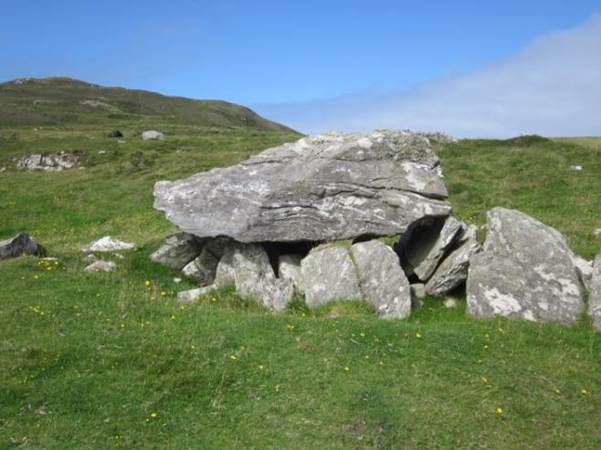 The tomb is on the cliff-top and the rolling hills rise up gently behind it. It is lovely scenery and gentle enough for people of the third age to enjoy. Cleggan is across the water. Some of the locals were a bit curious about us. 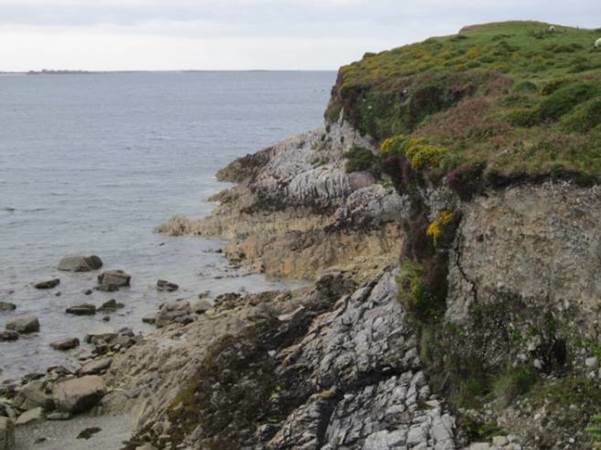 Cliffs, sea and a profusion of flowers. The awful weather of January and February 2014 has found faults in many roofs. But actually, not ours – it hasn’t leaked at all. 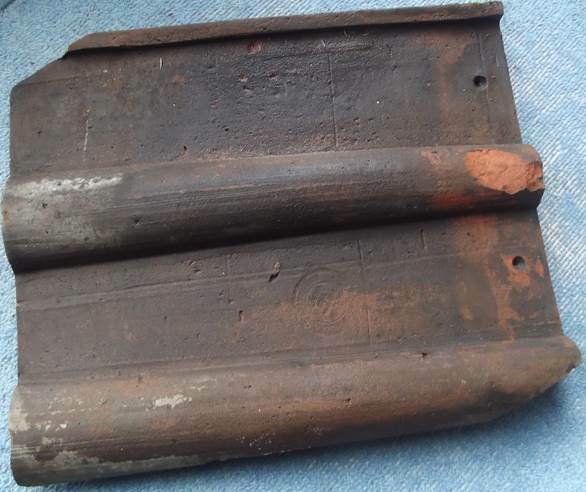 Our lovely clay roof tiles have been affected by time and some of our them were flaking away. Here is one of them with just a little bit of damage. Some have much more. I had hoped I might be able to read that circular makers mark – but of course, I couldn’t. 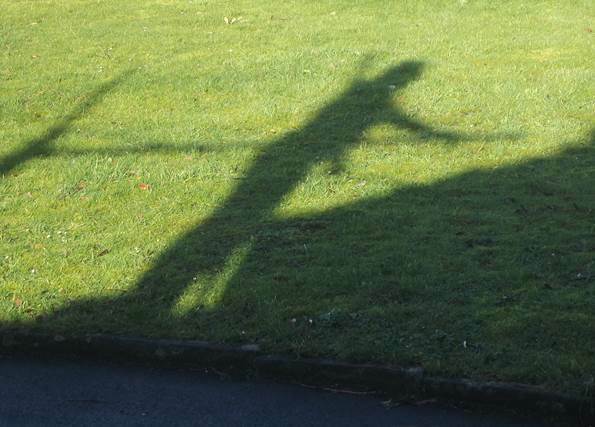 Anyway, we had workers on the roof on the few good days and on one of them, I captured a shadow photo which I rather like. I don’t even know his name – he’s the builder’s mate but there he is, on the scaffold, sorting ridge tiles on the hip end of the roof. I was in our kitchen at the time. We need to hold on to those shadows, to remind us that even when we say the weather is awful, there are times when it is 100% lovely. I find it hard to believe that 1974 was forty years ago. It feels like such a short time ago and I remember it so well. But the maths tells me it really was forty years ago so I have to believe it. We went to France for a holiday that year. We went with friends who kindly took us. They had a camper van and they loaned us a little tent and having arrived in Cherbourg, we headed off to Brittany. It was an eye opener for me. I hadn’t realised that this part of France had something akin to a peasant economy at the time. There were sights to be seen that just wouldn’t be seen in my part of England, and probably hadn’t been seen for more than twenty years. Here’s one of them. I was truly amazed to find a horse doing real farm work. That was something I never saw in my part of England and yet here, little more than 100 miles from England, we were in a world where history was still living. 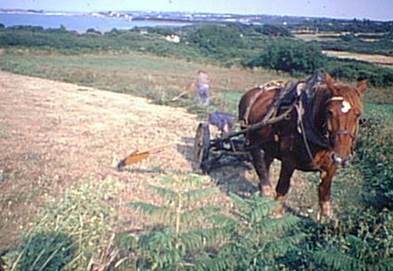 The horse, with its mower, was resting as the farmer raked up the cuttings. The more peasant like theme continued at market. 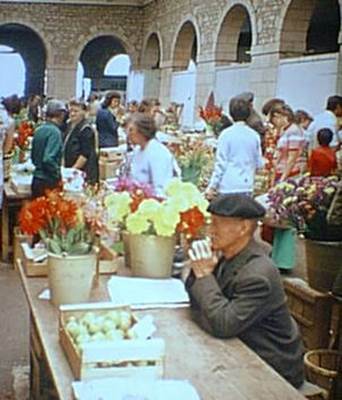 This chap sat in the market hall with a few apples for sale. He was every inch the beret wearing Frenchman. I’m so glad we made that trip for of course, modernisation came. More recent trips to the area have made the area seem more like home. Tractors work the fields and there are far fewer sellers of a few items than once there were. Markets are bigger and brasher. It was lovely to see the last of the past.